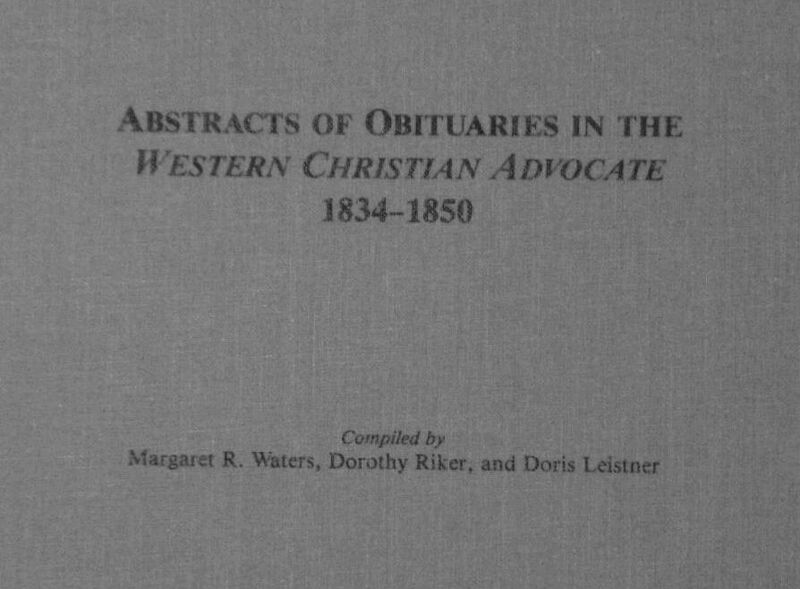 Last week I posted some local obituary abstracts from the book Abstracts of Obituaries in the Western Christian Advocate, 1834-1850, compiled by Margaret R. Waters, Dorothy Riker, and Doris Leistner, copyright 1988, Indiana Historical Society. More information about this compilation is at the end of this post. Below are a few more local obituaries from this 138-page book. 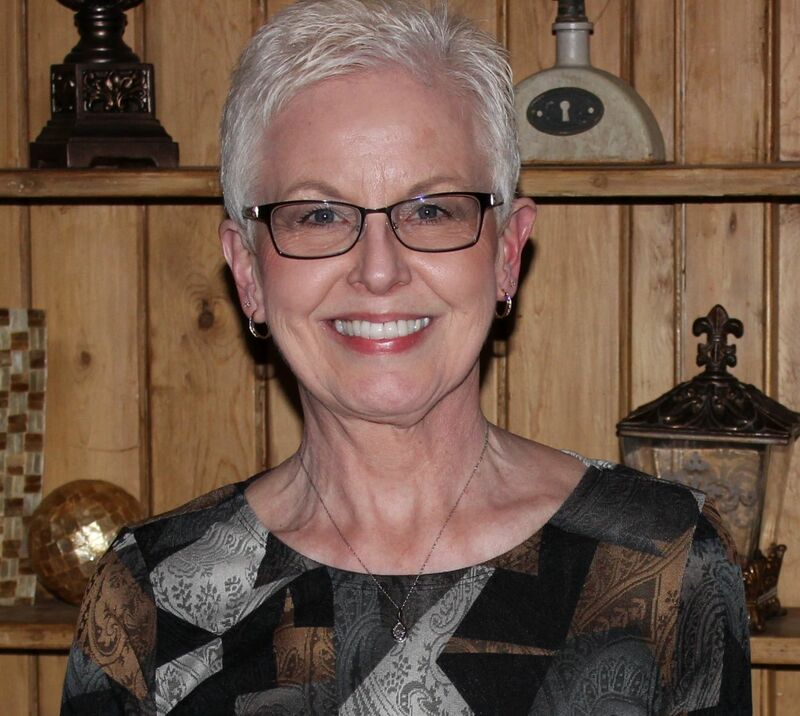 Some of these obituaries give us an idea of the sadness and the hardships these families endured. ALLEN, Elizabeth, died 19 September 1848 in Dublin Township, Mercer County, Ohio. She was about 34 years old and was married to Robert Allen, who survived her with their 4 children. She recently moved here from near Dayton, Montgomery County, Ohio. ARMSTRONG, William, born 1801 in Ireland, died in Montezuma, Mercer County, Ohio, on 23 March 1850 at the age of 49. He immigrated to Liverpool, England in 1831, to Lower Canada in 1837, and to the United States in 1847. He lived in Montezuma for a short time. He had sons Thomas, who died 7 December 1849 age 8 years; John, who died 11 December 1849, age 15; William, who died 14 December, age 4; and Christopher, who died 20 December 1849, age 11. McMAHAN, Mrs. Elizabeth, born February 1779 in Virginia, died 16 January 1843 in Celina, Mercer County, at the age of 63. Her children included a son Elza. I learned that there was also a Shanesville in Tuscarawas County, Ohio. Of the two entries below, one specifies Mercer County, Ohio. I am not sure if the other was Mercer County or not. ROEBUCK, Oliver H.P., died 5 October 1842 near Shanesville, Mercer County, Ohio, at the age of 23. BLOSSOM, Mary, died 20 December 1848, near Willshire, Van Wert County, Ohio, at the age of 66. Her husband survived her. HORDZOG, Solomon, died 7 November 1848 in Willshire, Van Wert County, Ohio. MAJORS, George, died 5 November 1848 in Willshire, Van Wert County, Ohio, at the age of 31. McKIM, Mrs. Calinda, born 30 November 1824 in Montgomery County, Ohio, died 1 September 1850 in Willshire, Van Wert County, Ohio. Her parents were James and Hannah Majors. She married Thomas S. McKim in 1846 and he survived her. HILL, William, born 16 December 1773 in Berkley County, Virginia, died 21 October 1845 in Van Wert County, Ohio. He moved from Fayette County, Ohio, to Van Wert County in 1836 and was a Presbyterian. PRIDDY, Eliza, born 1791 in Delaware, died 23 May 1843, probably in Van Wert County, Ohio. She was the youngest daughter of Benjamin Butler. She was reared in the family of her eldest brother, Thomas Butler, after her mother’s death when she was 5 years old. She moved near Chillicothe with her brother’s family in 1807 and he died soon after that, leaving a widow and 6 small children. Eliza married William Priddy in 1817 and they moved to Putman County, Indiana, in 1832 and then to Van Wert County. They had 8 children. Signed Lima, Ohio. JACKSON, Ferman, died 19 February 1849 at his residence in Van Wert County, Ohio, at the age of 45. His wife and 3 children survived him. DUNHAM, William, died at 4 o’clock p.m. on 29 March 1848 at Ohio City, Ohio. His wife and 1 child survived him. LATIMER, Mr., a resident of Ohio City, died 28 July 1838 in Painsville, Ohio, when he fell into boiling lye at an ashery. NON-ON-DA-GUM-UN, Chief of Delaware Indians, died 11 November 1842 at the Delaware Mission in Missouri. He had converted 8 years before his death, was accused of witchcraft by members of his tribe in 1840, and narrowly escaped death. Next week some local Indiana obituaries from the Western Christian Advocate, 1834-1850. 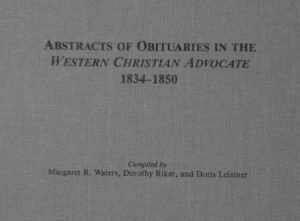 Obituary Abstracts from the Western Christian Advocate 1834-1850. The Western Christian Advocate was a weekly publication of the Methodist Church, printed in Cincinnati, Ohio. It was an outgrowth of the Christian Advocate and Journal, a newspaper started in New York City in 1826, which by 1831 had the largest circulation of any weekly paper in the nation, religious or secular. As Methodism spread westward there was a need for an additional newspaper to provide for those in the Midwest. The Western Christian Advocate was established in 1834 for this purpose and consisted of four standard-size newspaper pages. News consisted of obituaries, some marriages, general news items, medical information, temperance and missionary news, Methodist meeting reports, sermons, and denominational concerns. Obituaries were not limited to Methodists and most of the deaths reported were from Kentucky, Ohio, Indiana, and other Midwestern states. The paper had a circulation of 14,000 in 1840 and 18,000 by 1850. It was published until 1929.